Today we’re exploring countertops and solid surfaces for kitchens, bathrooms, and for all related home improvement and DIY needs! 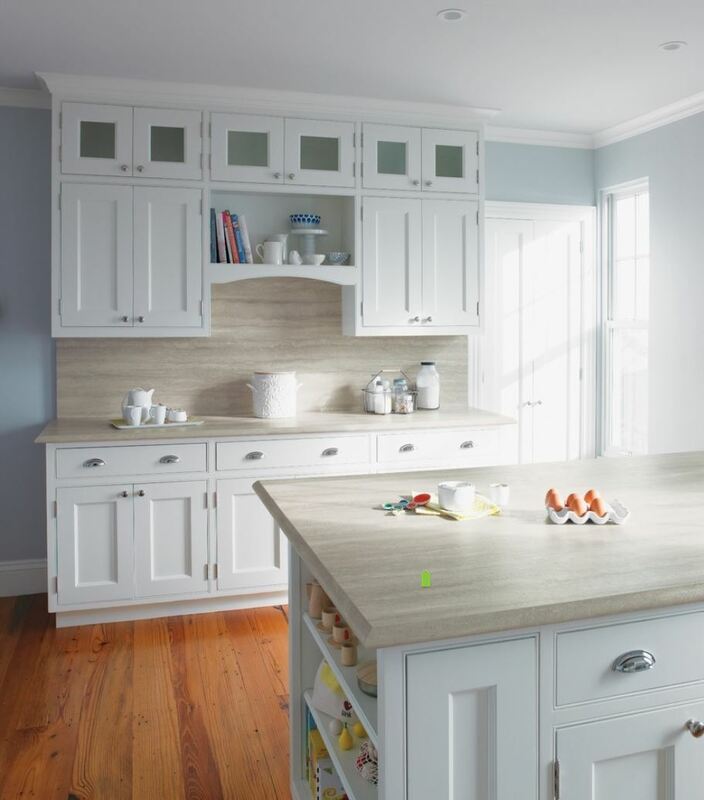 Selecting a new countertop for your kitchen can not only be exciting, but it can also be a bit overwhelming. 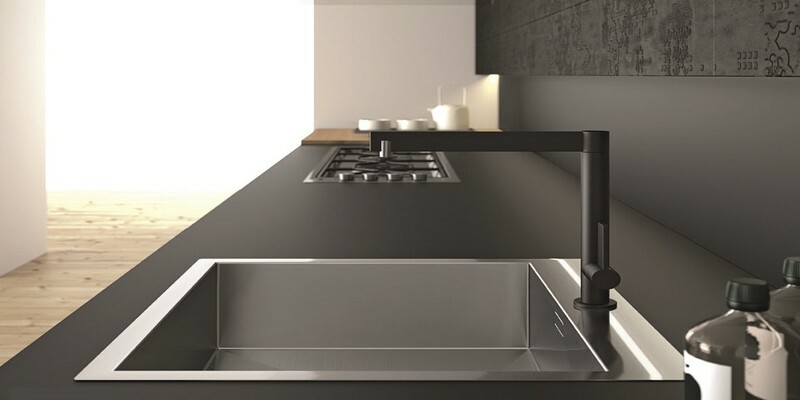 After all, there is such a wide variety of materials and countertop surfaces to consider, along with their thickness, benefits and drawbacks, colors, costs, and other options. Some of the top questions being asked by many of the “quality and cost” conscious consumers, have to deal with the cost of materials, their pros and cons, and labor or installation costs for most common surfaces including granite, Formica, quartz, marble, and the good ol’ laminate. If you have not faced any major remodeling decisions before, then you should know that all modern countertops have their inherent strengths and flaws. It’s up to you to decide which particular factors and material characteristics are most important to you. Yes, it’s all about your wants and needs! 🙂 — Some of the main ones to consider are: durability, luster, heat resistance, maintenance, price and style. 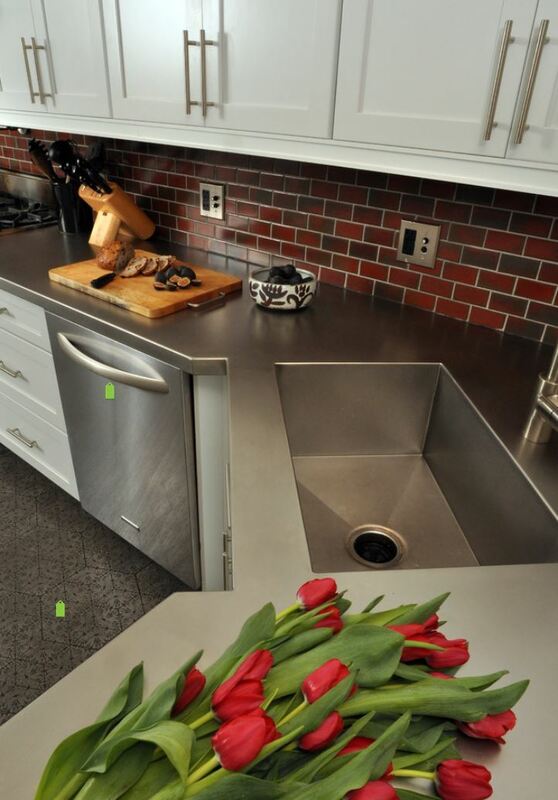 In this guide, will cover the top ten most common materials for countertop surfaces. We’ll give you the necessary information, so you can make an informed decision. 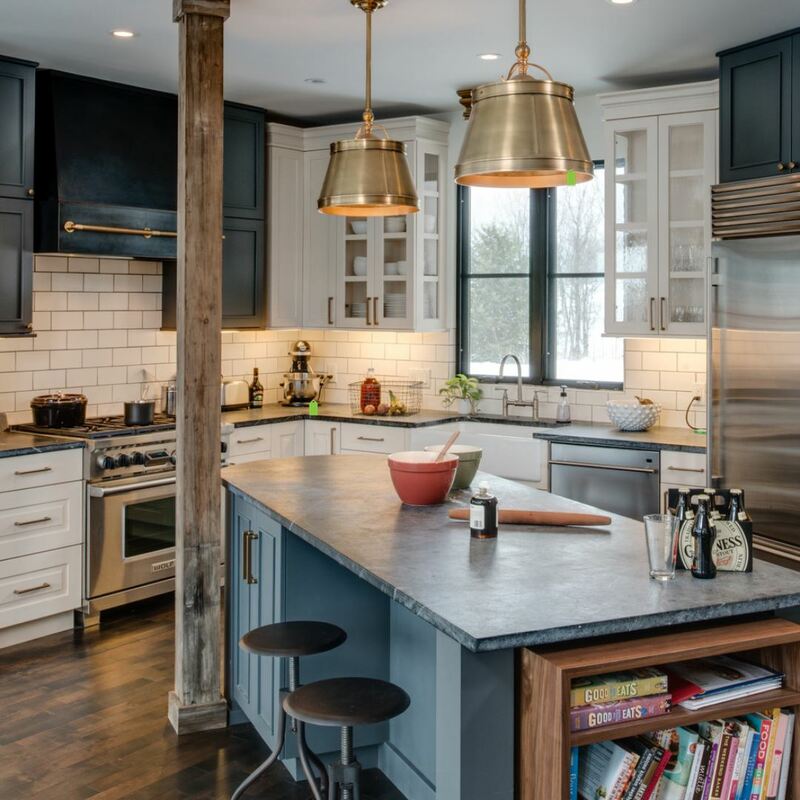 For years granite has been one of the most popular surface choices among the US homes, owning to its natural beauty, durability, and ruggedness. It’s a natural stone, so every individual slab is 100% unique in its hue, pattern and shading. Since each piece is different in appearance and size, many consumers will often have go to their local granite warehouse and select the actual pieces of granite that will go into their kitchen or bathroom. Each slice of granite is approximately 9 to 10 feet long and 5 to 6 feet wide. 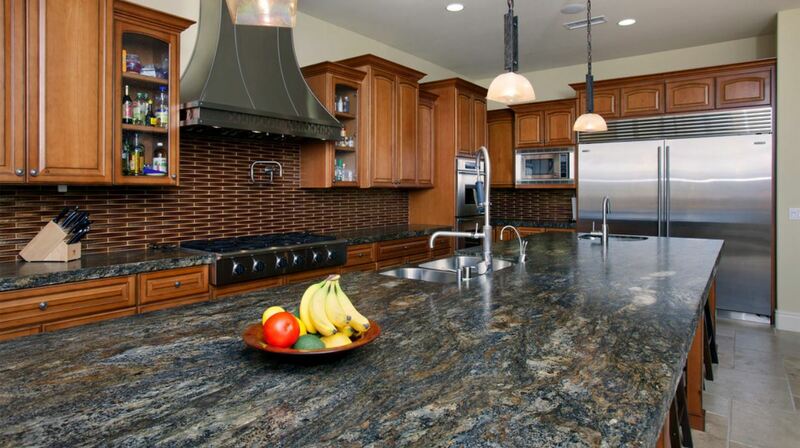 There are some places carrying granite slabs as large as 12 feet long for those extra long open-space kitchens. If your countertop is larger than this, the granite will need to be installed in pieces, thus inevitably resulting in some seams. Unique – One of a Kind! Price: Granite has an average material cost of $45-$100 per square foot depending on the size, pattern, and thickness of the slab. Although, some select species of granite can be as expensive as $150-$250 per square foot! It will be a grand total of $3,000 to $5,000 for an average 40 square feet granite surface installed. Tips: Save money by using a thinner slab of granite, or use granite tiles for a fraction of the cost. Quartz can give granite a run for its money (especially considering the cost of higher-end granite) surfaces, with the durability and look of natural stone, minus the maintenance. It’s a very hard, impervious to water drops or moisture stone quarried out of the earth, ground into small pieces, mixed together in a sheet layer and held together in a resin as part of its manufacturing process. As with all countertops, it has some advantages and disadvantages. Like granite it will have seams, but they will be less noticeable. Its consistent look and pattern allows the seams to blend more easily. 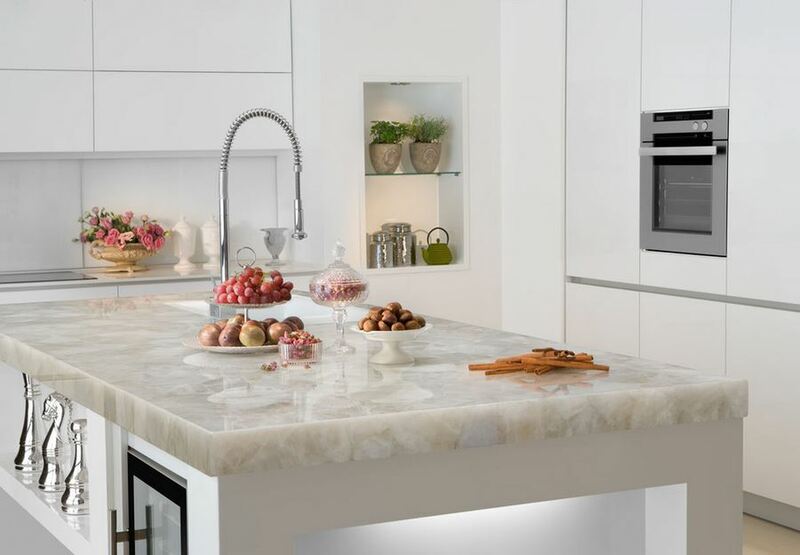 Quartz is a nonporous pre-engineered material, so it doesn’t need to be sealed. However, it’s not completely heat resistant. A hot pot can be sat on the counter, but it can’t be left there for very long, as the heat will react with the resin and leave a burn mark! Price: $60-$100 per square foot. It will cost you in the range of $2,500 to $4,500 for an average 40 square feet pre-engineered quartz surface installed. An acrylic manmade product created by DuPont under the brand name, Corian. The seamless material provides a durable, hygienic and nonporous surface. Corian comes in a variety of colors, hues and patterns that can be designed to fit anyone’s style. Choose a stone pattern for a warm, traditional decor, white or black for a minimalist style or brighter colors for a more eclectic look. Custom colors are also available. Its look is consistent and lends itself to soft curving designs and integrating features like sinks, drain boards and backsplashes. 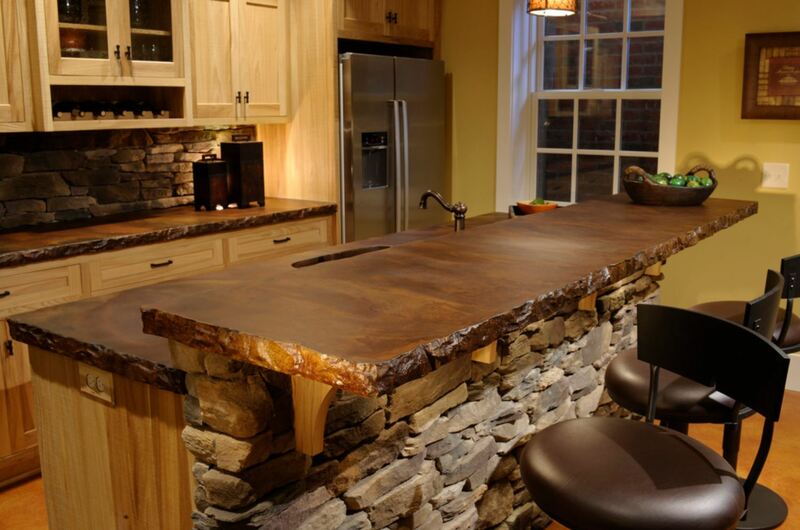 Wood countertops have been used for hundreds of years. They’re unique, natural and add warmth to any space. Various types of wood and finishes can be used to fit different decor and lifestyles. For a traditional style use cherry, teak, yellow cedar, mahogany or white oak with an oil finish. For a modern or more carefree wood countertop, you can finish the wood surface with a waterproof varnish. For an eco-friendly, rustic style, reclaimed wood can be used. 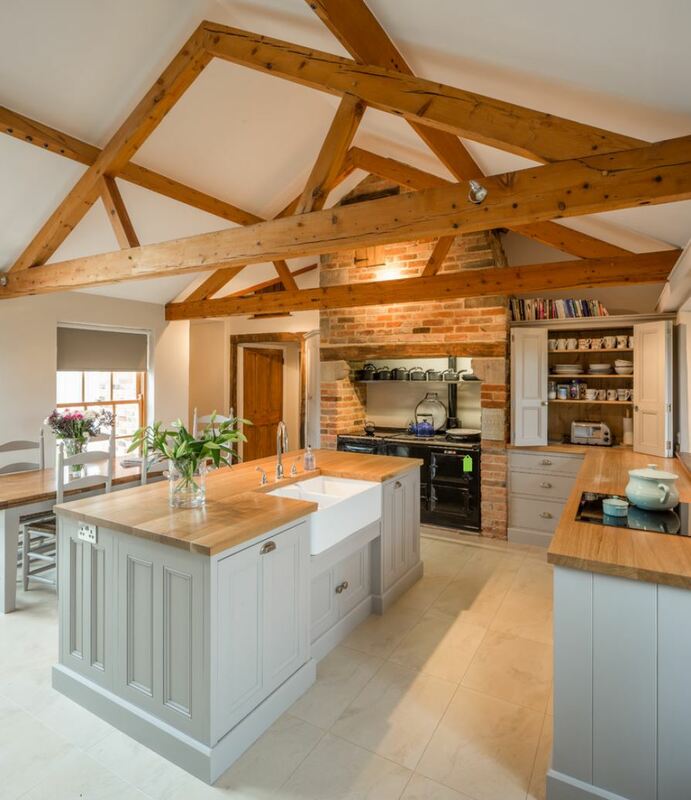 Wood naturally contains enzymes which attack and kill bacteria, making it an excellent choice for the kitchen. Although it’s very durable, it’s not impervious to damage. While the thought of using a butcher’s block countertop as one long chopping block may sound convenient, it’s not advisable. It would cause scratches, chipping and damage to the surface. Other options are to have a separate chopping block or have one built in. Although it’s often scoffed at by natural material lovers, laminate is still a widely used countertop option. Not only is it budget-friendly, new designs are helping laminate make a huge comeback. Manufacturers are teaming up with top designers to create amazing on trend designs. For a fraction of the cost, you can have the look of marble, granite or wood. 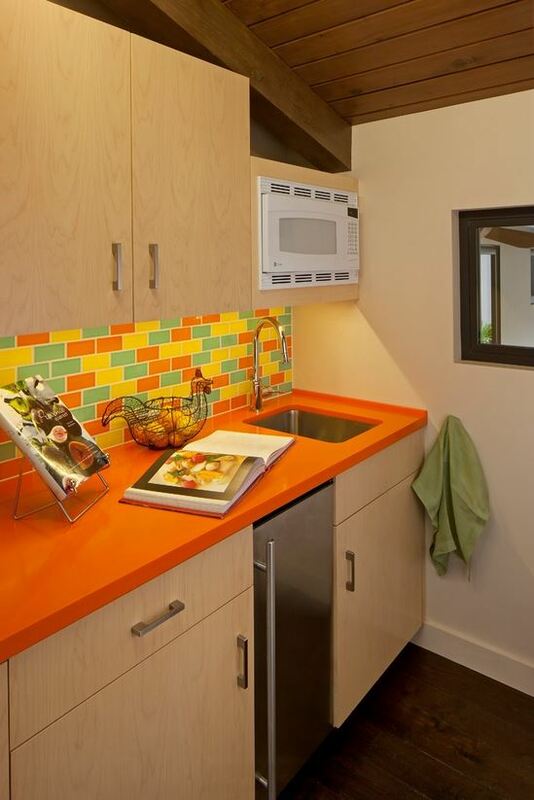 Or, if your tastes are more modern, you can choose to go with bolder, brighter colors and patterns. Concrete countertops, made from a general-purpose mortar mix, sand and pigments, are extremely durable. They add visual texture and color to any space. However, they are not for everyone. Although concrete is practically indestructible, its porous nature makes it easily stained. Sealing will help keep stains from soaking in completely, but they will have to be cleaned immediately. Over time the surface will develop a patina. Also, the hard surface can be tough on glasses, dishware and flatware when used in the kitchen. The process of using nanotechnology has been around since the 1980’s, but it has only recently been used in building materials. Although it’s technically a thermo-laminate, nanotech matte material is in a class of its own. It’s soft to the touch, 500 times stronger than regular laminate material, self-healing, anti-microbial and anti-fingerprint. It comes in a variety of 14 decors – eight plain colors, three iridescents, two wood grains and one stone, all with a matte finish. It’s ideal for a minimalist or modern style. Though, some of the muted colors and patterns would easily work with a traditional style as well. 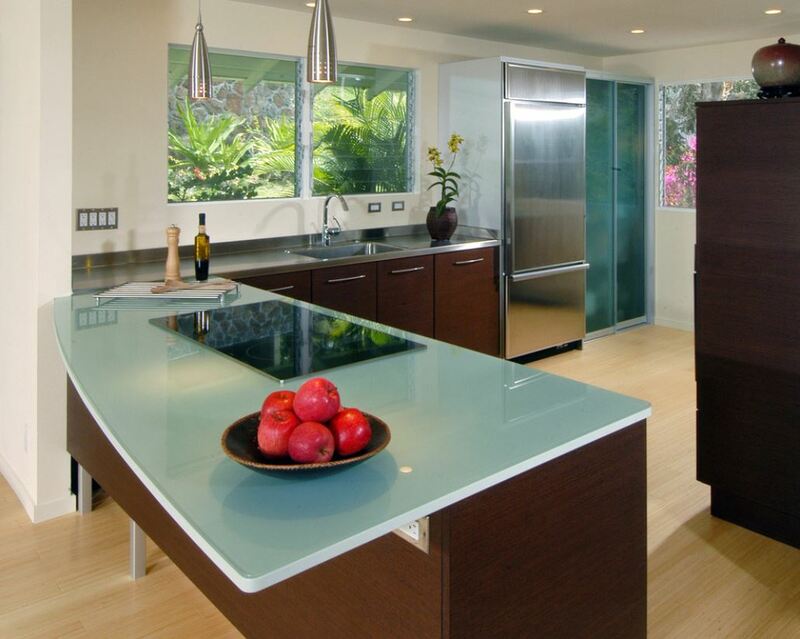 Glass countertops can be tempered, translucent or embedded into concrete. They can also be made from new or recycled materials and come in a variety of colors. It’s an excellent option for those looking for an environmentally-friendly alternative. The transparency of the glass adds depth to the surface. 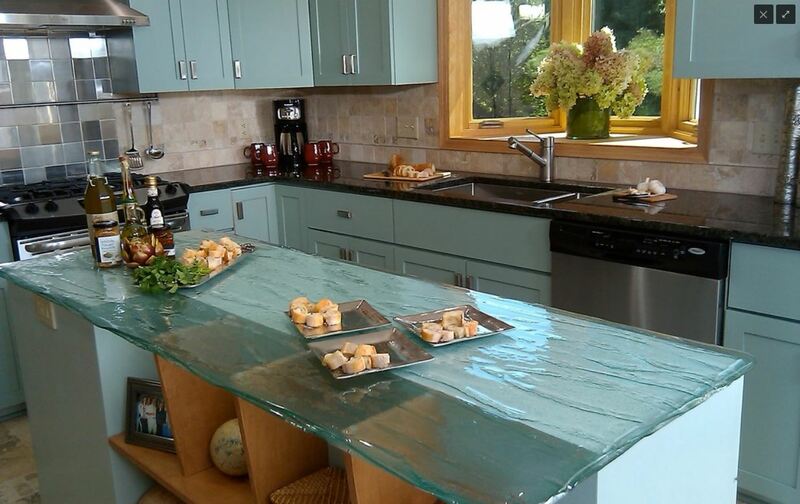 Like stone countertops solid glass comes in sheets. So there may be seams. If the glass is embedded into concrete, sealing is required every six months. Glass is a dramatic and unique surface. It’s like having a piece of art as your counter top. Chosen for use in commercial settings, stainless steel countertops are an excellent choice for those looking for a durable material. Virtually indestructible, heat resistant and easy cleanups make stainless steel the design choice for serious cooks. No need to worry about hot pots and pans being placed directly on the surface. Plus, the nonporous material prevents the harboring of bacteria and stains. However, this hardworking surface isn’t impervious to all damage. It can easily be scratched and dented. Also, fingerprints can be a problem. Soapstone is a natural quarried stone. Its name comes from the soft, or soapy, feel of its surface caused by the presence of talc in the stone. It’s not as hard as granite, but it’s still dense and durable. Unlike granite, it’s nonporous, stain resistant and can stand up to acidic materials. This metamorphic rock comes in various shades of gray, blue and green with some marbling. Since it’s non porous it doesn’t need to be sealed and is virtually maintenance free. It’s heat resistant, but can be scratched. However, the scratches tend to add character to the stone, and can be easily buffed away with sandpaper if desired. Soapstone is an environmentally responsible choice. It’s a one-time investment that will not only outlive you, but will also look better as time goes by. It’s important to remember there’s no such thing as the “best countertop surface”. There’s only the one that fits your lifestyle and design interests better than the others. Also, the pros and cons are just characteristics of each countertop. It only becomes a pro or a con when you overlay those characteristics against your needs.